The critical process of maintaining employee, subcontractor, and vendor documentation and credentials can be a tedious, labor-intensive process. Candidate Direct Marketplace® vendor management systems (VMS) feature, SmartDocs, compliance management software developed specifically to help business more efficiently manage, store, and verify employee credentials. With SmartDocs, tracking document expiration dates has never been easier with automated email messages sent to both managers and candidates prior to expiry. Our compliance software removes the stress from audits due to electronic document management & storage and automated expiry date notification. SmartDocs document management software is designed to eliminate risk due to missing or expired credentials by frequently reminding stakeholders when a credential is coming due as well as allow access for employees to personally keep their credentials and documents up-to-date … under the electronic supervision of their manager. And other credentials that expire or that need to be verified for employment, auditing, and compliance purposes. Create customized compliance templates, for example, by profession or specialty. 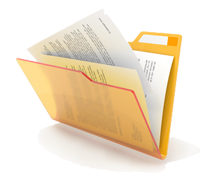 Add employer-specific documents to the template such as non-disclosure (NDA) or non-compete agreements. Create system-defined templates that can be pre-filled by profession, specialty, etc. or can be manually entered by the SmartDocs user. Allows for staffing agency access to your compliance information requirements when viewing your open positions. Upon agency submission to an open position, they will upload the candidate's profile and fill in the applicant template information. The compliance information stays with the submission and the assignment. Offers enterprise-level control over electronic documentation and credentialing. Sends automatic, predefined notifications when a credential or other important document is coming up for renewal. Assists with vendor compliance through electronic auditing. Real-time updates help management to measure vendor performance, costs, and risks. Our Vendor Management System (VMS) with electronic document management, compliance and audit features will ensure that your vendor community has up-to-date documentation on each candidate employed at your facility. It is specifically designed to reduce audit and compliance costs, improve productivity and ensure accuracy by storing documents and credentials electronically.